Limbuwan is an area of the Himalaya historically made up of 10 Limbu kingdoms, all now part of Nepal. Limbuwan means “abode of the Limbus” or “Land of the Limbus”. Limbus themselves call Limbuwan “Yakthung Laaje” or “the country of the Yakthungs”. Today, Limbuwan comprises the districts of Taplejung, Panchthar, Ilam, Jhapa, Terhathum, Sankhuwasabha, Dhankuta, Sunsari and Morang. Limbuwan is the land east of the Arun and Koshi Rivers and west of Kanchenjunga Mountain and the Mechi River. 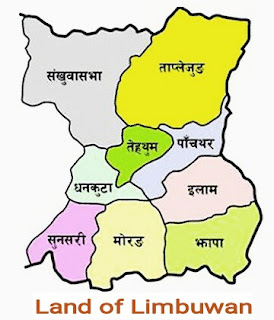 The seat of power is Kathmandu and western Nepalese refer to Limbuwan as the Pallo Kirant region or far Kirant, due to its distance from Kathmandu. 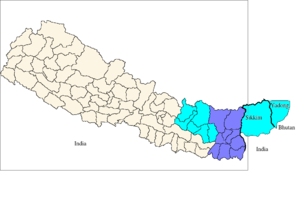 9 Districts(Taplejung, Panchthar, Ilam, Jhapa, Terhathum, Sankhuwasabha, Dhankuta, Sunsari and Morang) advocated by Federal Limbuwan State Council in dark blue, historic Limbuwan maximum extent light blue, thick lines current international boundaries. 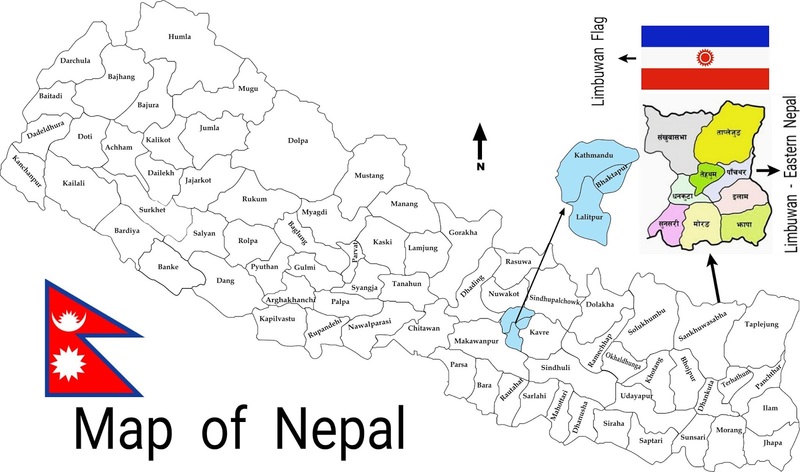 On the map of "Greater Nepal", eastern part from Nepal was Sikkeme Limbus kingdom which disagree to merging into Nepal and fought with "Limbuwan merged Nepal". 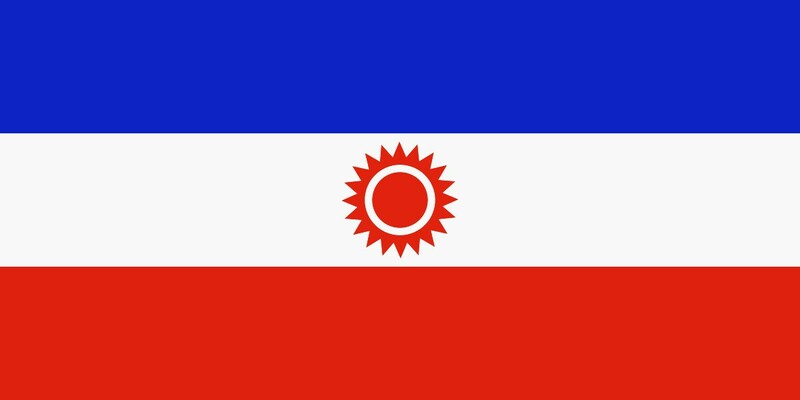 Some of Limbuwan peoples sidded to Sikkeme Kingdom because of their own brothers kingdom, but Nepal/Gorkha gave them death penalties who had sidded with Sikkam Kingdom.And, that death penalties by Nepal/Gorkha over Limbu Peoples cause a big mass migration of Limbus from Limbuwan.